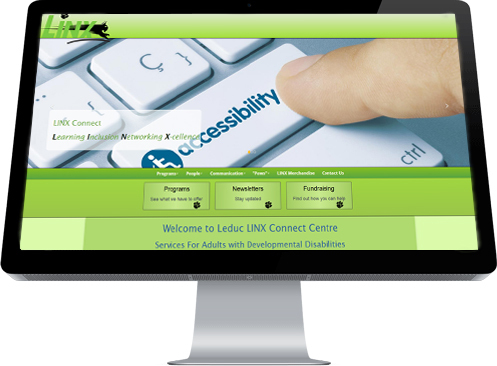 The Leduc LINX Connect Centre is a non-profit agency in the City of Leduc serving the municipality as well as the surrounding area. The Centre is dedicated to providing daily living, housing and employment supports for people with developmental disabilities. The website project was a labour of love for Industrial NetMedia who are an ongoing sponsor of this important agency. The website project involved updating their older website to modernize the look and make the site more responsive on mobile devices.